Avengers: Infinity War was loaded with teases, Easter eggs, and surprises but one cameo is flying under most fans' radars. Spoilers for Avengers: Infinity War follow as the cameo is revealed! During Avengers: Infinity War's second act, Captain America seeks help from Colonel James Rhodes as the Vision has been severely injured. Upon arrival, he sees Rhodes having a call with General Thaddeus Ross. The call creates holograms of Ross and some of its government buddies. Among those buddies is Avengers: Infinity War screenwriter Stephen McFeely. In several shots, a hologram of McFeely sitting at the desk with the rest of Ross' allies can be seen. Not only did McFeely write Avengers: Infinity War but he and Christopher Markus are also responsible for Captain America: The First Avenger, Captain America: Civil War, Captain America: The Winter Soldier, and the still untitled Avengers 4. As it turns out, the plan to write some of the most pivotal films in the Marvel Cinematic Universe was not always the plan for the pair. "While we were prepping Civil War, and we were starting to do the actual active work on trying to figure out what a story would be while we were shooting Civil War," Markus says of learning they would team up again for Infinity War. "So, that was five months of that, four months at the end of '15 to break the story, and that's with the Russos and with Kevin [Feige]," McFeely said. "And then five months to write the first two drafts beginning of '16, and then just re-wrote that all through '16, and even through '17, and we shot it through all of '17." 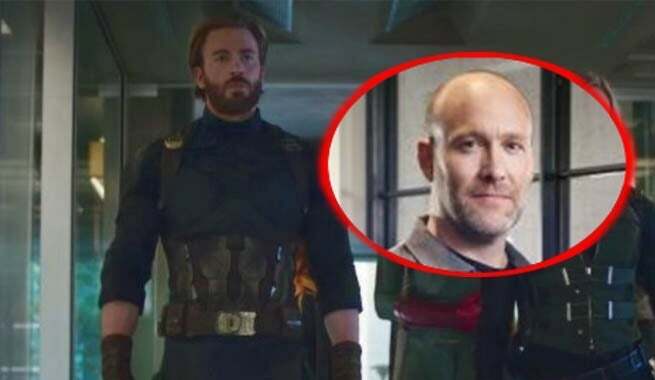 Of course, as ComicBook.com's interview with the writers took place prior to any screening of the movie, McFeely was still keeping his Avengers: Infinity War cameo a secret. He is not alone in such a pantheon, though. The Walking Dead's Ross Marquand also made an appearance in the film, which is significantly more of a spoiler, so read about it at your own risk. Avengers: Infinity War is now playing in theaters. Leave your reactions and questions in the comment section or send them to @BrandonDavisBD on Twitter!